If what you are looking for is a grownup, refined – classy, even – alternative to the bargain bucket of the midsize segment; then the Passat is the car for you. The current Volkswagen Passat is cosmopolitan. It was designed for the American market and built in Tennessee. The engine, however, comes from a factory in Mexico, and the transmission is sourced from Japan. Despite this international make up, the Passat’s soul is as German and serious as the day is long. And that is a good thing because the midsize sedan market might be the most competitive in the automotive world. 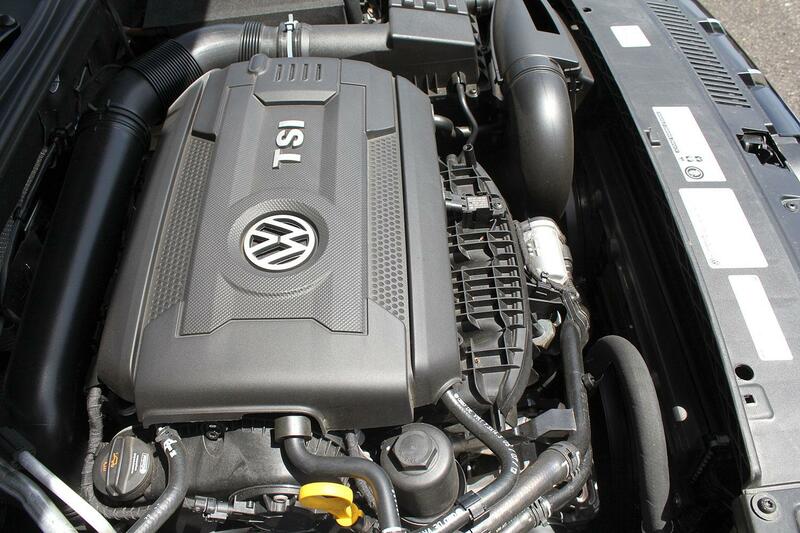 The big news for 2014 is the new standard engine, a 1.8-liter turbocharged TSI four-cylinder. This little powerplant is good for 170 horsepower and a meaty 184 pound-feet of torque. It is a big improvement over the outgoing 2.5-liter inline five-cylinder. The 1.8 TSI still has its work cut out for it pulling around the Passat. Between design in Germany and construction in Tennessee, the Passat has packed on a lot of bratwurst, pretzels and fried chicken. But little engine is eager and even aggressive like a rabid Corgi; it revs easily and has a broad torque curve. This makes for some fun driving, especially when the silky six-speed automatic is in sport mode. When driven sensibly, this engine and transmission combination is good for 24 mpg city and 34 highway. 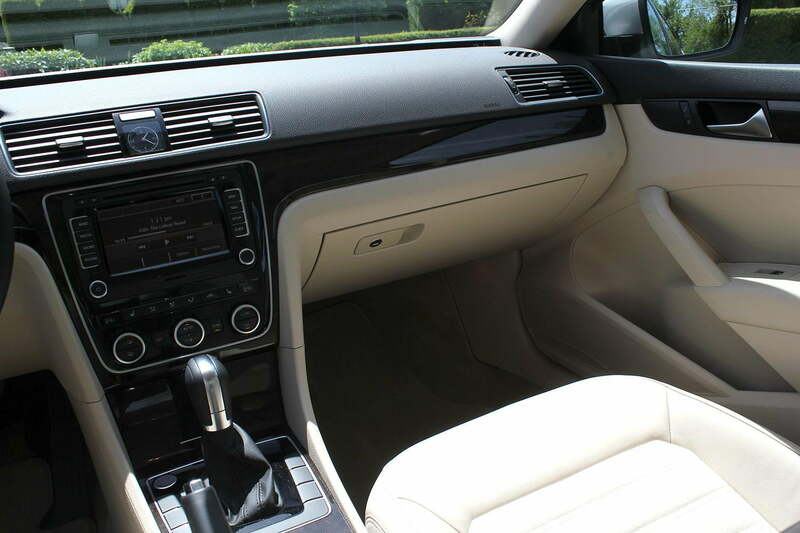 However, for the truly fuel-economy-minded, there is the 31/43 mpg TDI diesel. The center of the Passat’s German soul is excellent NVM platform, which combines truly mind-blowing interior room with driving dynamics up to white-knuckle trips on the Autobahn, even if – here in the States – the biggest stretch of open pavement the Passat is likely to see is a Wal-Mart parking lot. The German engineering is also on display in the corners. The Passat handles level and flat, changing direction easily. The Passat may not be a sports car but, appropriately for a German, it is unflappable. It is, after all, impossible for the Germans to make a car that handles incorrectly. This sets the VW apart from its American and Japanese competitors, which feel like they have been engineered to solely get from point A to point B. The Passat, however, is meant to be driven. The Passat looks good enough, if a little dull. Though, in the midsize sedan market, dullness is the norm. The interior is well built and all of the materials feel quality, even the fake wood. However there is very little of what marketing types call “surprise and delight”. 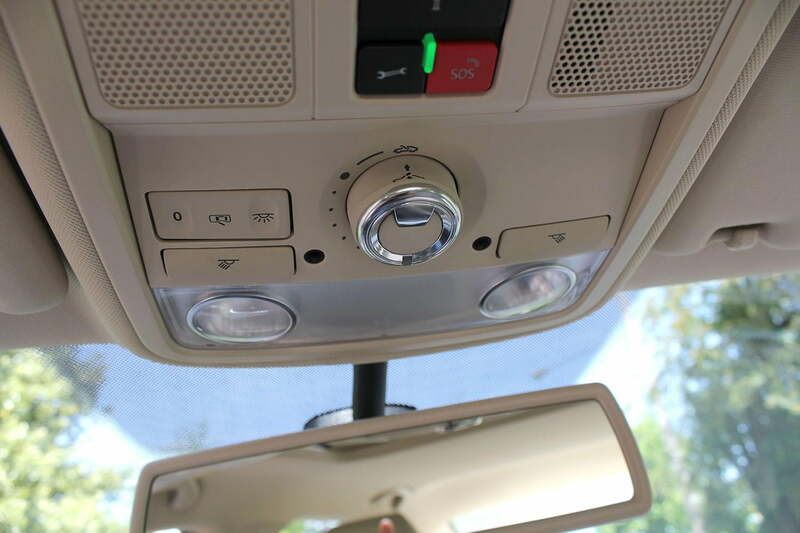 With the exception of the big touchscreen in the center stack, the interior looks dated. In fact, the ruler-straight dash looks like it would be at home on a 10-year-old Audi A6. Middle-aged people, like my parents, seem to appreciate the button downed simplicity of the big VW, but I found myself wanting a bit more – especially considering that at $31,715 my Passat SEL Premium was only moderately well equipped. 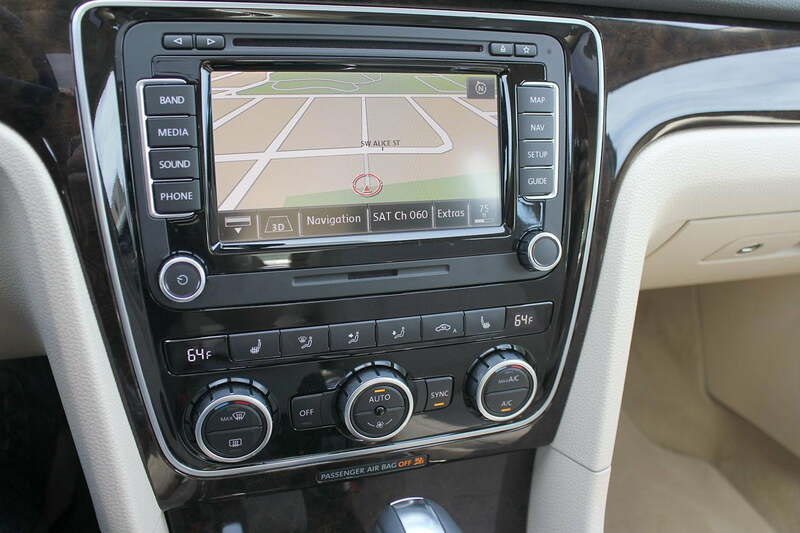 For that price, it got a full suite of infotainment, but none of the active safety features increasingly standard in this segment. 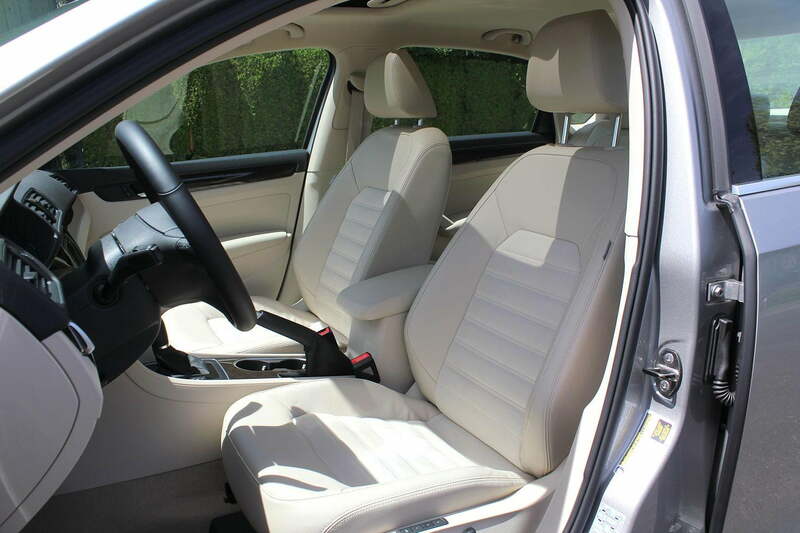 A fully-loaded 2015 Subaru Legacy, for example, with a 250-hp six-cylinder is available for basically the same price. All that being said, the Passat is a remarkably affordable way to get your hands on honest-to-god German engineering. Normally, that requires selling a kid … or at least a kidney. The Passat feels like a quality machine, and that goes a long way to making up for the lack of excitement. If what you are looking for is a grownup, refined – classy, even – alternative to the bargain bucket that is the midsize segment, then the Passat is the car for you. Just think about getting the TDI.